Experience the vibrant beat of Samulnori. This modern incarnation of traditional Korean folk music celebrates harvest time and provides a lively soundtrack to dancing. The ensemble is comprised of four types of percussion instruments—an hourglass drum, a barrel drum, a small gong and a large gong. Each represents a natural element— wind, rain, clouds and lightning. 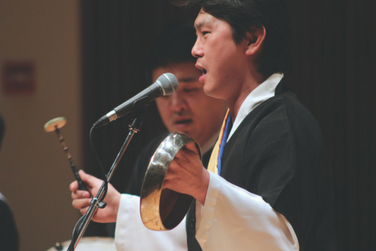 Under the direction of Sebastian Wang, the concert is performed by the UMD Korean Percussion Ensemble alongside a small core of professional musicians, exhibiting some of the great Samulnori repertoire.